With a career spanning more than 17 years, Dr Brent Evans is Associate Dentist at St Lucia Dental. 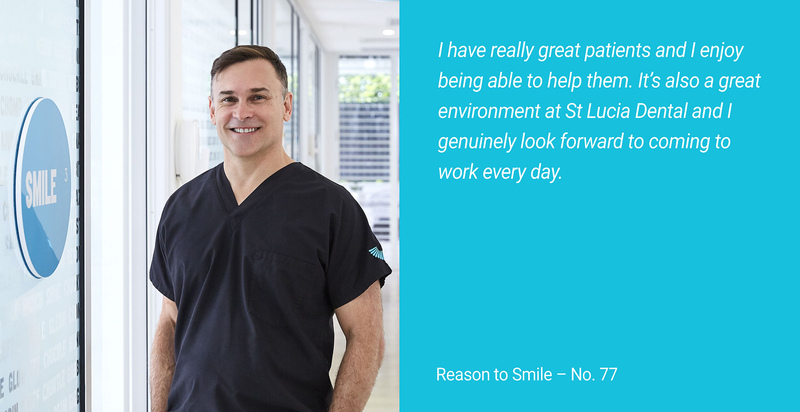 Throughout his career, Dr Evans has gained broad experience working in practices in Brisbane, the Gold Coast, country Queensland – and even the United Kingdom. He ran his own practice in Warwick (Queensland) for three years, before joining the St Lucia Dental team in 2013. Dr Brent Evans graduated from the University of Queensland in the year 2000, with a Bachelor of Dental Surgery. He’s also received qualifications in Prosthodontics, from the University of Queensland. A member of the Australian Dental Association, Dr Evans is committed to continuous education and training, and regularly attends courses and seminars conducted by renowned local and international lecturers. Prosthodontics, Cosmetic dentistry and Implant dentistry.